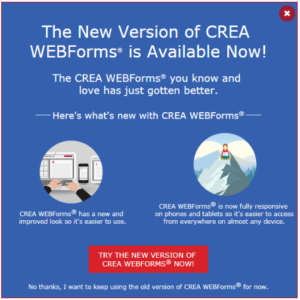 CREA WEBForms® Updated – Please note that CREA will be discontinuing the “Classic” version of WEBForms® on Thursday, August 9 – the date has been changed from August 8, as reported earlier. Can you please fix the problem of bringing the forms into Docusign. Most of the time it is not working so I’ve had to go back to the “Classic” version to do so.